SAITAMA — His blazing fastballs wowed spectators at baseball stadiums in his high school years. Takanobu Tsujiuchi joined the world of professional baseball with great fanfare, but he eventually suffered from injuries. After retiring as a player, he pursued a career as a coach of women’s professional baseball, and is currently in his third year on the job. 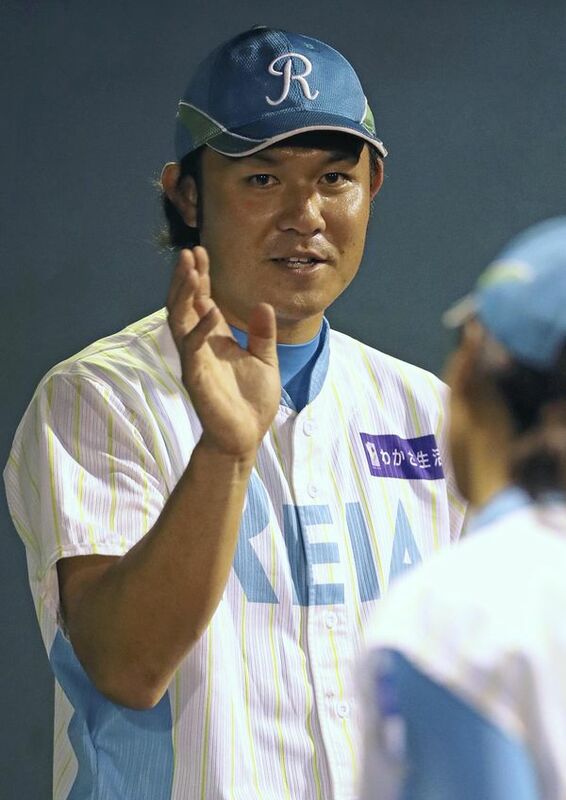 Tsujiuchi, 28, was the star of Osaka Toin High School when he pitched at Koshien Stadium in the 2005 summer national high school baseball championship, bringing his team to the final four with his over-150-kph pitch. He was a first-round pick to join the Yomiuri Giants, but soon suffered from a series of injuries and underwent surgery twice on his left elbow. In 2013, he was informed that he had not been included in the club’s future plans, and was given no chance to pitch for the first team. Wanting to get away from baseball, Tsujiuchi thought of working for a real-estate firm. However, one of his teachers from high school encouraged him to become a coach for women’s professional baseball. There are three clubs in the women’s professional league. Tsujiuchi worked with one of the three teams as a coach during his first two years. This year, he moved to Reia — a professional club that doesn’t play in the three-club league matches but nurtures players for the future generation. The players whom Tsujiuchi coaches are all young and graduated from high school less than two years ago. Seeing them, he recalls the days when he was at the top of his game. Reia’s role is to develop players who can promote the league. “Female players don’t have the power and speed of male players. But they excel in the quality of their pitches,” he said. Tsujiuchi dreams of nurturing pitchers who are able to throw 130-kph balls, and he spends a lot of time studying motion theory to use in caring for the athletes’ physical condition after pitching. “I don’t want them to suffer from injuries like I did,” Tsujiuchi said.